During one of her first solo body removal jobs as an apprentice mortician, Melisende Dulac discovers an old man’s sad end may not have been all that natural. The story is inspired by Steely Dan’s song of the same name. It is followed by the novel, Crossroad. Coming October 2019. In addition to the four novels in the series, the Portland homicide detective and irascible idealist with the unsettling birthmark on his neck has appeared in six short stories. Skin’s appearances and other milestones can be seen in the Kadash Chronology. In 1971, days before shipping out to Vietnam, a young Skin Kadash joins his best friend for a “so long to the world” blow-out at a cabin in the mountains, unaware they’re pawns in a murder plot. Originally published in Alfred Hitchcock’s Mystery Magazine, July/August 2015 issue. A brotherhood of cops, a boy accused of murder, and the detective who broke ranks to dig out the truth, no matter the cost. Free download to anyone who signs up for my newsletter. Skin investigates vandalism at a Portland coffee shop and stumbles into more than he bargained for—saucy hipsters, coffee snots, petty crooks, and a conspiracy gone off the rails. Portlandia meets Dashiell Hammett. Originally published in Portland Noir, edited by Kevin Sampsell. On Halloween, as cops pursue a gang of violent home invaders, Skin and a neighbor build a bat house, unaware the chase is heading right for them. Originally published in Deadly Treats, edited by Anne Frasier. Read it at Kings River Life. Skin travels to the windswept Oregon Coast to recover from a gunshot wound and finds himself embroiled in land grab turned deadly. Originally published in West Coast Crime Wave, edited by Brian Thornton. With a discovery of a disembodied foot in an old lady’s back yard, Skin is dragged into a decades-long feud between irascible neighbors. Originally published in Murder at the Beach, edited by Dana Cameron. A lifelong quest for revenge has unexpected consequences for a pair of friends who sacrificed everything over a girl. Available in Diaries of Misspent Youth. Dreams of love live and die in an eddy under a bridge. Available in Puppy Love Noir. Sometimes what we see in other people is only a dark reflection of ourselves. Originally published in The Dunes Review Read it here. Motion, moving, he was always moving. An environmental autobiography. Available in Puppy Love Noir. Read it here. When Mom takes up with a fixer-upper, two kids find out what life with an honest-to-goodness outlaw is really all about: the loot. Read it here. A mysterious dwarf makes a risky play for the statuesque consort of a drug kingpin in a hardboiled retelling of a classic fairy tale. Nominated for the 2011 CWA Short Story Dagger. Learn more here. In a darkly comic clash of neighbors over the height of a fence, the solution for one seems to be kidnapping…and murder. Read it here. A cynical and overprotective son tries to save his mother from her own good nature, with violent results. 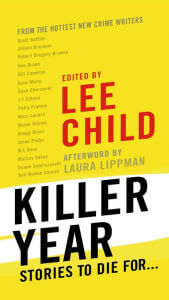 Originally published in Killer Year, edited by Lee Child. During a hallucinatory trip to the beach a young man loses track of who he is. Available in Diaries of Misspent Youth. Desperate to see his sick mother who is quarantined upstairs in her room, a boy rebels against the overbearing housekeeper who has been keeping them apart. In the process, he discovers the grim secret behind his mother’s illness. Winner of the Spinetingler Cozy Noir Award. Available in the Protectors anthology. He opens the door to what he thinks is every boy’s dream. It turns out to be a nightmare. Available in Puppy Love Noir. A boy’s dark reputation, not all of it fairly earned, shapes his fate. Available in Diaries of Misspent Youth. “Sunlight Nocturne,” a Halloween tale featuring Skin Kadash, is now available at Kings River Life. Check it out! Nine years ago, as I was getting ready for the release of Lost Dog, I had the amazing privilege of joining a group of other writers who would debut in 2007. Together, we were the Killer Year. We had t-shirts, group events, a blog — and an anthology of short stories edited by Lee Child. At long last, Skin Kadash’s origin story “Heat Death” has been sighted in the wild. 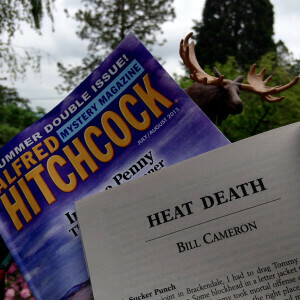 In this instance, the “wild” is defined as “my mail box,” wherein today I found both my subscription copy and author copies of the July/August 2015 issue of Alfred Hitchcock’s Mystery Magazine. 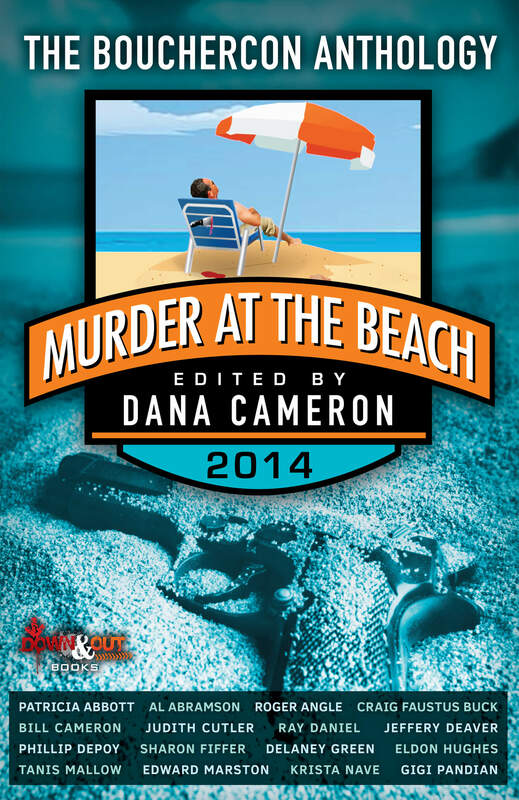 “Heat Death” can be found on page 134. The events of “Heat Death” take place when Skin was eighteen years old. He was a long way from becoming a cop. Still, the foundation for the kind of cop he would be was laid in the mountains of British Columbia, Labor Day Weekend, 1971. “The Missus,” a Skin Kadash short story, is available for Nook and Kindle, only 99¢. “The Missus” takes place shortly after the events of Chasing Smoke, when Skin returns to work as a homicide detective after his long and eventful medical leave. He expects to spend a quiet time reviewing cold cases and getting back on his feet. Instead, his new lieutenant—and former partner—hands him a hot capital case with explosive implications. The story also introduces Joey Getchie, the main character of Property of the State, book one of The Legend of Joey. Note: This story, told from the point of view of my longtime series detective Skin Kadash, references events from Property of the State—the first in my young adult mystery series featuring Joey Getchie. Though the events in “The Missus” are of singular significance to Joey, they occur five years before Property of the State, and Skin’s view of them is very different from the fragments Joey remembers. That said, this story could be seen as containing a minor spoiler or two for Property of the State, so if you’re concerned about such things, you might consider reading the book first. ▶ Get The Missus on Nook, only 99¢. 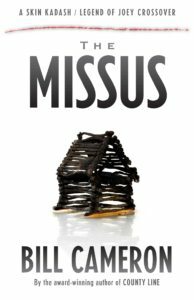 ▶ Get The Missus on Kindle, only 99¢. “The Princess of Felony Flats” is the story of a mysterious dwarf who makes a risky play for the statuesque consort of a drug kingpin in a hardboiled retelling of a classic fairy tale. Newly-released in a standalone edition, this 2011 Dagger Award nominee originally appeared in First Thrills. I proud to be part of author and editor Thomas Pluck’s anthology Protectors: Stories to Benefit PROTECT. 41 writers. One cause. We’ve rallied a platoon of crime, western, thriller, fantasy, noir, horror and transgressive authors to support PROTECT‘s important work: lobbying for legislation that protects children from physical, sexual, and emotional abuse.